It’s a busy year for Apple. The super-shiny (and incredibly expensive) Apple Watch hit shops last month and the smart money and Mac Diviners have it on good authority that a brand new iPhone model may be touching down as early as August. (Apple even recently outed its latest budget-orientated iPhone on its own site.) In the middle of that you have Apple’s World Wide Developers Conference (WWDC) in June, and since Apple is working on the new operating system for its smart devices, with new iOS 9 features on the way, we expect at least a tidbit or two of information at this event – even if the mobile OS doesn’t take centre stage among an inevitable hardware release or two. As ever, Apple hasn’t been keen confirming iOS 9 features at this point, but the rumour mill is churning at a pace. Even though Apple tries to keep a lid on leaks, a quick scan reveals that iOS 9 may spell the end of the iPhone 4S, bring more interface short cuts, better app integration and improvements to Siri. Whether it’ll make your iPhone look more than a Fisher Price toy is probably a given at this stage. Here we collate the rumours, leaks and flim-flam over Apple’s forthcoming operating system for smart devices. Going on past form, Apple tends to roll out the full new version of iOS around autumn, a couple of months after WWDC, which is confirmed for June this year between the 8th and 12th. 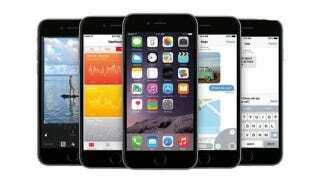 It usually announces an update for current devices – and iOS 8.4 is rumoured to be launched at this year’s WWDC – but one of the main purposes of the Conference is to put the new operating system in the hands of registered developers, so they can tweak and update their apps ahead of its official roll-out. At the time of WWDC, iOS 9 won’t be available for consumers as Apple will probably be in the process of ironing out any bugs. It’s likely that iOS 9 will be rolled out alongside the release of the next iteration of iPhones (likely around August), although whether it’ll be compatible with all of Apple’s devices currently in the market is another matter. If you own any Apple device that isn’t recharged with a Lightning connector, you may have to start saving for an upgrade as iOS 9 may not be compatible with it. Last year, iOS 8 rendered the iPhone 4 obsolete – that is, if you wanted to update the operating system – and there’s a good chance that the iPhone 4S could be next in the firing line. This move would bring all of Apple’s devices in line with charging options and it may mean we’ll see the back of the 30-pin connector for good. One rumour doing the rounds at the moment concerns the size of the new operating system. iOS 8 required you to free up 4.6GB, which was rather a lot of space to take up on devices that had only 8GB and 16GB of storage on them to begin with. That operating system saw a lot of Apple device users rather slow to update, simply because they didn’t have the space to accommodate it. This is something Apple is probably keen to avoid, so iOS 9 will likely be smaller in size than its predecessor – or so we’d hope. Unless you’re obsessed with every single possible upgrade the new operating system could offer, you may want to skip this paragraph. Speed and stability in iOS 9 aren’t exactly the sexiest attributes to yearn for. But they’re necessary and needed at this stage. iOS 8 was glitchy coming out of the gate, ate up a chunk of space and drained your battery something horrid. According to the folks over at 9to5Mac, the team working on iOS 9 are making a “huge” effort to eradicate bugs and improve stability and increase speed. The OS is also receiving a lot of under-the-hood attention aimed at making its size more manageable and boosting the overall performance of iOS 9 features. HomeKit, Apple’s framework for interacting with smart accessories in your home with your iOS devices has suffered a series of delays, yet Apple says that it’s on track to arrive in June, although the appliances themselves are rumoured to only be arrivinglate August, early September. In the meantime, news has emerged that Apple is working on an app called Home, which will allow iOS users to manage their HomeKit gear. The Home app – planned for iOS 9 – will enable you to configure and connect your wireless devices, create a virtual representation of your home and use your Apple TV as a central hub. While barking orders at the toaster using Siri may seem like a gimmick, remotely controlling garage doors, thermostats and the locks on your house sounds a bit more useful. Apple Maps aren’t on a par with Google Maps yet, but Apple is still tinkering with it continues to make improvements. iOS 9 is rumoured to include an addition to Maps called Transit, which will offer users navigation options on bus, subway (tube) and train routes along with a journey planner and a Transit Map viewer, which joins Standard, Hybrid, and Satellite views. Apple is also adding new cities, landmarks and new push notifications that’ll alert users once the city they’re in gains support for Transit navigation. It’s probably a given that iOS 9 will give Siri an upgrade; the voice controlled digital assistant has already been given a colourful overhaul on the new Apple Watch. We’re hoping for a little more than a couple of eye-catching wavy lines in Siri, however, as Apple has let it languish somewhat on its other smart-devices and it needs to make up ground against Google Now and Microsoft’s Cortana. You may have heard of this streaming service Apple purchased last year involving Dr Dre? Well, while it’s not the only game in town, Beats is certainly a service Apple is interested in pushing so it’s not beyond the realms of possibility that it’s looking to provide some integration with it on iOS 9. We already know that Beats will be getting its own artists-only social network, and that more announcements about the service are planned for this June. Given the huge price Apple paid for beats last year, if we don’t hear an announcement about it for iOS 9 – or indeed, iOS 8.4 – at this year’s WWDC, we’ll be flabbergasted.